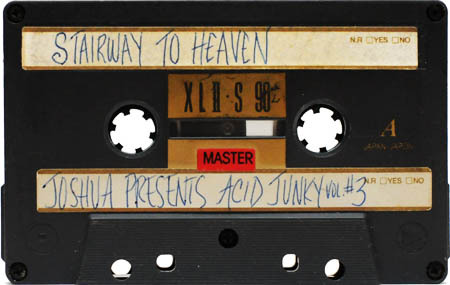 This is the third Acid Junky mixtape from the original three part series of mixes, recorded in 1994, by Josh McClintock. This tape is pure sickness! THAT”S BIGGER,THEN GAME THREE TOMORROW. UNTOUCHABLE KID! Thanks guys! This is actually the last tape I recorded before I moved to NY in early ’96. I’m really proud of all 3 tapes but the first side of this one is my personal favorite. 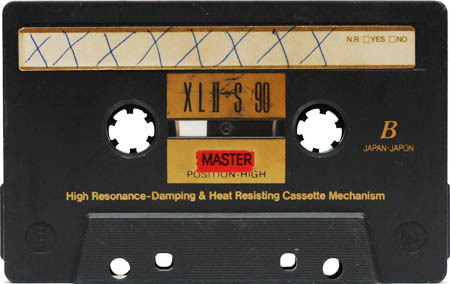 I used to have this really cool boombox that I would take everywhere with me (the beach,parking lot of a party,mountains) this tape got a lot of play on that ol thing. BIG THANK YOU again to Jason here at SIMFONIK for digitizing these and posting them up on this AMAZING site! I would also like to let you know that Jason has asked me to do an ACID JUNKY 4 especially for the site. I’ve almost completed it…and when I do I’ll send it in. June, July most likely. I decided to keep in the spirit of things and record it to tape…..i am having a hard time finding actual NICE tapes to buy though hahahaha! Also…I have about 10k more records than when I put out AJ3….so selecting records for it was quite the process. Fun as &^%$ though I must admit! Thank you to everyone that gave these a listen…..back then ..and now. Enjoy! Just so there’s no confusion, the Prefab Sprout “If You Don’t Love Me” is a FSOL remix. Actually….to be perfectly precise…The one I played is a remix of that remix off of Twitch Recordings Compilation #8 by Mike Wertheim. 12 minutes in and Lovin it! Bass is making my pant legs vibrate! Lol!! Hope to catch you in SD soon! Thanks dude! Man I used to play in SD a lot…I had some great times there! I sure would love to come back!!! If you know any promoters that would like me to play please spread the word. Candy Crush huyah above seems like SPAM.